The Natural Capital - find us now at TheNaturalCapital.com: Is The Giving Tree an Environmentalist Book? The 110th Annual Christmas Bird Count Has Begun! Is The Giving Tree an Environmentalist Book? 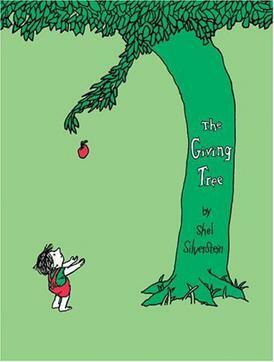 I loved Shel Silverstein's The Giving Tree as a kid. I loved reading it to my little brother when I was in middle school. I took it with me to college. And it has survived every weeding-out of my bookshelf ever since. It's been sitting on my shelf, mostly untouched, for years. But I've found myself reading it to toddlers several times in the last few months. And it has me deeply conflicted. For those of you who need a refresher, the basic premise of the story is this: a tree and a little boy are best friends. As the boy grows up, he's no longer interested in playing with the tree. Trying to make the boy happy, the tree gives more and more of herself (her branches to build a house, her trunk to build a boat), until the boy (now a man) has chopped her down to a stump. In the end, the boy comes back as an old man, needing a place to sit and rest -- and then, finally, both he and the tree are really happy again. Reading this book as an adult, it's clear to me that Silverstein is trying to convey the sense that material things don't make you happy. Seeking wealth and belongings just keeps the boy coming back for more. The only times he is really satisfied are when he's playing or sitting with the tree, enjoying their friendship. That is a good environmental message: more relationships, less stuff. I do think that message may get through to kids a little. At least on a more simplistic level, one four year old remembered it to me as "the book about the boy and the tree that are best friends." That was probably my first take-away message as well: you can befriend the natural world. Another good message for kids. My solution? At least at the toddler level, I've been keeping a running commentary. "Oh, how sad! The tree doesn't have any branches anymore!" "It seems like that didn't really make the boy happy, did it?" That kind of thing. Maybe that will let me keep reading one of my favorite books from childhood.